Joel Embiid and Ben Simmons break down the Philadelphia 76ers’ Game 2 win against the Brooklyn Nets, tying the series up 1-1. 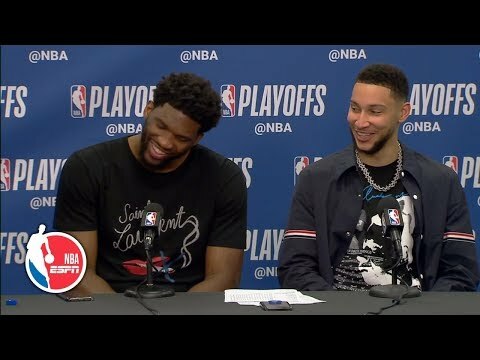 Embiid says his elbow to Jarrett Allen was unintentional and that he is sorry about it, which spurs some laughter from Ben Simmons. Embiid also adds that the 76ers’ goal was to come out and be more aggressive and he’s happy that they did just that.